The NDA government’s decision to introduce a new scheme for the Northeast which led to taking away of some sectors from the North Eastern Council (NEC) has raised a question mark in the region. Some of the sectors that would not come through the NEC include skill development, education, irrigation, power among others. 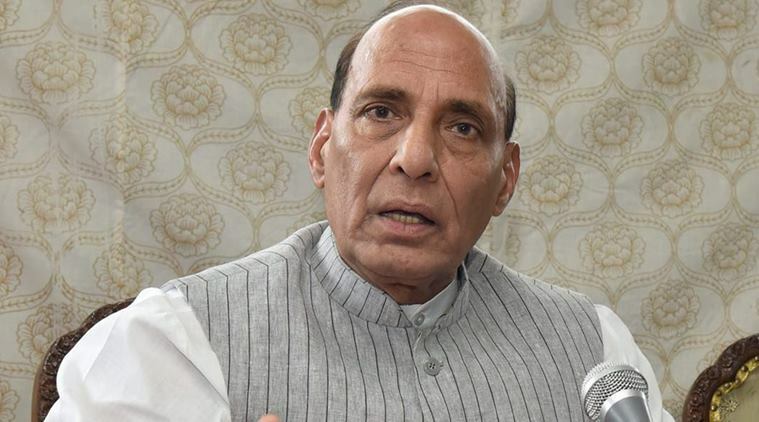 This issue is likely to be raised in the 67thPlenary of the NEC which will be chaired by Union Ministry for Home Affairs, Rajnath Singh in Shillongon Monday. The two-day Plenary of the NEC will begin at 2 pm at the State Convention Centre in Shillong. Pointing out that the NEC is a statutory advisory body under the NEC Act 1971 which came into being on November 7, 1972 with its headquarter in Shillong, sources said that members of the NEC which include Governors and Chief Ministers were not taken into consideration when the Union Cabinet at the Centre decided to change the NEC scheme. “Such decision should have been approved by the Plenary of the NEC, but it was arbitrarily approved by the Union Cabinet, and this reflects total disrespect to the Governors and Chief Ministers of the North Eastern States who are the members of the NEC,” sources pointed out. OnMarch 28this year, the Union cabinet had approved a new scheme known as “Northeast Special Infrastructure Development Schemes (NESIDS)” and this scheme would be routed directly through the Ministry of Development of North Eastern Region (DoNER) with 100 per cent funding from the Centre. Moreover, sources said that since the Centre has decided to implement the new scheme (NESIDS) from 2020 onwards, the NEC was not allowed to take up new projects for two years from 2018 to 2020, except ongoing projects which are being funded on 90:10 basis between the Centre and the respective state governments in the North Eastern Region. “This planned holiday of two years disallowing the NEC to take up new projects would have adverse impact on the region which requires speedy execution of infrastructure,” sources said. Lal Thanhawla also said that Rs 4,500 crore earmarked for the new scheme for the whole North Eastern States during 2017-18 to 2019-2020 is going to be too less to have a meaningful impact for the region’s development. “The earmarked funds include Rs 2,357 crore for committed liabilities of ongoing projects, Rs 1,000 crore for North Eastern Road Sector Development Scheme (NERSDS), and Rs 640 crore for NLCPR liabilities. However there is no fund left for new projects during the new scheme. It is highly doubtful that the region can be made an engine of growth with such a meager investment from the Centre,” Lal Thanhawla said while requesting the Centre to allocate more funds to the NEC in order to have a meaningful impact for the region’s development. Lal Thanhawla also said that the Centre has even asked to put on hold projects sanctioned during 2017-2018 as the new scheme’s effective period is scheme was scheduled from 2017-18.